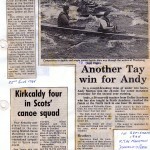 Kirkcaldy Canoe Club was formed on the 7th November 1978 to promote sprint and marathon paddling amongst junior paddlers. The club founders were from a Scouting and Guiding background and started the club to increase participation in canoeing and kayaking competition. The club has grown and developed to a regular annual membership of 90 people, with approximately 70% junior paddlers, and the clubs’ aim of increasing junior paddler participation is still at the forefront. The club began with a few boats and stored them in one of the club coaches’ garage. They then managed to store them in a spare garage at Craigencalt farm before growing into their current shed on the loch side at Kinghorn. The club has developed this over the years to improve the facilities for paddlers. In 2007, Kinghorn Loch Users Club (KLUG) with much assistance from KCC and other loch user groups reinstated the bank beside the shed to improve the launching area. 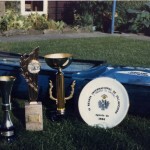 Throughout the 80’s and 90′ to the present day, the club have had successful racing seasons with many trophies and accolades. 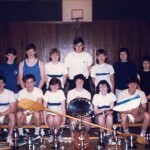 Kirkcaldy Canoe Club have competed for the Hasler trophy every year since 1985 when a team is sent from the club to compete. 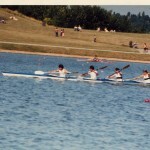 The club have won the event twice, in 1995 at Loch Ken in Dumfriesshire, and in 1999 at Stockton on Tees. This event provides a focus for the club, with paddlers competing in Scottish races to qualify for the Hasler. The club organised the 1995 Hasler Trophy event, held at Loch Ken in Dumfriesshire. 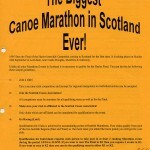 The club also organise events throughout the year, with several marathons and two sprint regattas at Kinghorn Loch. Kirkcaldy Canoe Club has come a long way since it’s inception in 1978, and now has a vast variety of boats, K1’s, K2’s, and K4’s. Regular training sessions on the water as well as on dry land and indoors take place throughout the year. Many paddlers throughout the club’s history have been selected to paddle for Scotland and Great Britain at events nationally and internationally. 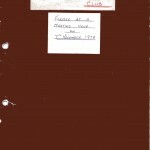 The club is looking forward to another successful 25 years..